On July 1, 2015, the U.S. Court of Appeals for the Fourth Circuit issued a decision in the case of Goldfarb, et al., v. Mayor and City Council of Baltimore, et. al., reversing the lower court’s dismissal of a RCRA Citizen Suit filed against these city officials, a casino developer, and a local chemical company. The lower court, sitting in Baltimore, held that the casino developer’s National Pollutant Discharge Elimination System (NPDES) permit shielded it from RCRA liability because of RCRA’s “anti-duplication provisions (42 USC Section 6905(a). In 2012, the City entered into an agreement with CBAC Gaming, LLC (CBAC Gaming) to develop a tract of land, approximately 8.58 acres, for use as a casino and ancillary facilities. Historically, the property had been the site of a chemical manufacturing plant operated by Maryland Chemical Company. It was conceded that the property is contaminated, based on environmental assessments performed in the 1990s and the early 2000s. To comply with the requirements of the CWA, the State of Maryland issued a general construction stormwater permit which requires CBAC to comply with that permit while the casino is being constructed. The permit also mandated compliance with specific remediation activities set forth in a Response Action Plan. The plaintiffs filed a RCRA Citizen Suit alleging that the action, or inactions, of the City, Maryland Chemical, and CBAC violated RCRA permits or standards or contributed to an imminent or substantial endangerment to public health or the environment resulting from their handling of solid waste. The lower court held that so long as CBAC complied with these provisions, it was shielded not only from liability under the CWA, but also from RCRA liability since “further remedial requirements imposed under RCRA would be inconsistent with the remedial activities already deemed appropriate under the NPDES permit”, citing RCRA Section 6905(a) as authority. However, the Court of Appeals disagreed with this reasoning, and reversed and remanded the matter to the lower court. While RCRA’s anti-duplication provisions “may ultimately bar a plaintiff from obtaining relief in a RCRA suit, that result does not mean the statutory limitation is jurisdictional barring recovery”. The lower court was directed to conduct additional hearings into the claims, and to determine whether the cleanup goals and provisions that are part of the NPDES permit are in fact inconsistent with RCRA. The Courts of Appeal are deciding Comprehensive Environmental Response, Compensation, and Liability Act of 1980, 42 U.S.C. § 9607(a)(3) (CERCLA) (or Superfund) “Arranger Liability” cases in the wake of the Supreme Court’s 2009 decision in the case of Burlington Northern and Santa Fe Railway Company v. United States, 556 U.S. 559 (2009). Earlier this year, the Fifth Circuit held, in the case of Vine Street LLC v. Borg Warner Corp., that CERCLA’s “Arranger Liability” for Superfund cleanup responsibility did not apply to most straightforward business transactions in which an intent to dispose of hazardous waste or hazardous substances in the guise of a business transaction could not be established. On March 20, 2015, a divided panel of the Fourth Circuit reached a similar conclusion in the case of Consolidation Coal Company v. Georgia Power Company, et al. The Courts of Appeal affirmed the lower court’s ruling that granted summary judgment to Georgia Power Company in a cost recovery case involving the ongoing cleanup of the Ward Transformer Site, located in Raleigh, North Carolina. Georgia Power Company is a large utility, providing power to most of the State of Georgia. In the early 1980’s, Georgia Power Company sold, at auction, many of its used electric transformers to the Ward Transformer Company. These transformers, when sold, still contained insulating oil mixed with polychlorinated biphenyls (PCBs), a toxic substance whose use had been banned since 1979. Ward Transformer Company repaired and reconstituted these transformers for re-sale as reconditioned units. Unfortunately, Ward Transformer Company’s Raleigh, North Carolina facility became contaminated with PCBs, and the site was placed on EPA’s National Priority List, requiring its cleanup under CERCLA. The Courts of Appeal notes that more than 400,000 tons of contaminated soils have been removed from the site. Consolidated Coal Company (Consol) and PCS Phosphate Company, Inc. (PCS) have borne most of the cleanup costs as Potentially Responsible Parties (PRPs) under CERCLA—both companies have each spent more than $17 million so far, and they have sought contribution from other PRPs at the site. It was alleged that Georgia Power Company was also a PRP in that its sale of these used transformers containing PCBs to Ward Transformer Company thereby “arranged” for the disposal of hazardous substances, triggering CERCLA liability. Reviewing the evidence presented and the U.S. Supreme Court’s decision in the Burlington Northern and Santa Fe Railway Company, 129 S. Ct. 1870 (2009) case, as well as a still pertinent Fourth Circuit precedent (Pnemo Abex Corporation, et al. v. High Point, Thomasville and Denton Railroad Company, 142 F. 3d 769 (1998)), the panel majority agreed that Consol failed to show that Georgia Power Company acted with the necessary intent to create “arranger” liability for itself. 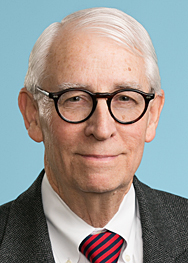 Circuit Judge Wynn filed a vigorous dissent, in which he would have ruled that summary judgment was inappropriate at this stage of the proceedings, because “a reasonable factfinder could decide that Georgia Power intended, at least in part, to dispose of hazardous waste when it sold Ward Transformer its used, broken, and obsolete transformers laden with carcinogenic-ridden oil”. On March 10, 2015, the U.S. Court of Appeals for the Fourth Circuit issued an unpublished opinion in Precon Development Corporation v. U.S. Army Corps of Engineers. For several years, Precon Development Corporation has been contesting the Corps of Engineers’ assertion of CWA jurisdiction over Precon’s planned commercial and residential development in Chesapeake, Virginia. At issue is the jurisdictional status of 4.8 acres of wetlands that Precon wants to fill in: is this land subject to the Corps of Engineers’ permitting authority under Section 404 of the CWA because the wetlands are “water of the United States” on the basis of Justice Kennedy’s “significant nexus” test as explicated in the 2006 Supreme Court case of Rapanos v. United States, 547 U.S. 715 (2006)? In 2011, on its first trip to the Court of Appeals, the Court of Appeals held that the “significant nexus” test will be controlling in the Fourth Circuit, but that the administrative record assembled by the Corps of Engineers at that time did not support the agency’s finding of “significant nexus” See 633 F3d 278 (CA 4, 2011). The matter was returned to the Corps of Engineers, which supplemented the record with additional findings, again determining that there was a “significant nexus” between the wetlands and the nearest traditional body of water, the Northwest River. The river is located about seven miles distant from the wetlands, which are linked to the Northwest River through a series of drainage ditches. Precon again contested this determination, and appealed the lower court’s grant of summary judgment to the Corps of Engineers. The Court of Appeals subjected Precon’s arguments to an exacting analysis, holding that the “significant nexus” test is, basically, a flexible ecological inquiry, and that either qualitative or quantitative evidence may support the Corps of Engineers’ jurisdiction. Also, because this is a permitting action and not an enforcement action, the Corps of Engineers is charged by the CWA with maintaining the integrity of the nation’s waters, and the agency cannot be expected at this time to present evidence of the actual ecological impact of the wetlands on downstream waters. In this case, the Court of Appeals also accorded substantial deference to the Corps of Engineers’ factual findings when they were challenged by Precon’s experts. Finding that the Corps of Engineers had now amassed adequate evidence, it affirmed the lower court’s decision. On January 27, 2015, the U.S. District Court for the Southern District of West Virginia ruled that the wastewater discharge permit issued to the Fola Coal Company by the West Virginia Department of Environmental Protection incorporated the state’s narrative biological water quality conditions. As a consequence, the District Court determined that Fola’s discharge violated its NPDES permit. The case is Ohio Valley Environmental Coalition, et. al., v. Fola Coal Company, LLC. This ruling was consistent with the court’s earlier decision in Ohio Valley Environmental Coalition, et al., v. Elk Run Coal Company, Inc., 24 F. Supp. 3d 532 (2014). On June 30, 2015, the U.S. Court of Appeals for the Fifth Circuit affirmed the trial court’s decision to grant Kurt Mix, a former BP engineer, a new trial after it was learned that the jurors had been exposed to extrinsic evidence bearing on the general prosecution of BP employees in the wake of the Deepwater Horizon oil spill. Mix was involved in efforts to calculate the amount of oil flowing from the Macondo well and developing plans to staunch the flow of oil into the Gulf of Mexico. He was charged with obstruction of justice for deleting text messages between himself and his supervisor related to, the Government alleges, the flow rates. Mix was acquitted on one charge and convicted on the other charge. His counsel, without the permission of the court, contracted the jurors to “obtain feedback about the defense’s failed trial strategy”, and they learned that the forewoman of the jury reported to some of her fellow jurors that she overheard a conversation in a courthouse elevator that other BP employees were being prosecuted in the wake of the spill. After conducting a hearing, and examining the jurors, the trial court granted Mix’s request for a new trial. The Court of Appeals affirmed, holding that the introduction of this extrinsic evidence into the jury proceedings could have violated the defendant’s right to an impartial jury and his Sixth Amendment right to Confrontation. In response to the Government’s argument that the evidence against Mix was overwhelming anyway, and that this incident could not have affected the jury’s deliberations, the Court of Appeals noted that the evidence presented at trial was not all one-sided, suggesting that the exposure to the information could have tipped the balance. The case is United States v. Kurt Mix. In December 2014, the U.S. District Court for the Southern District of Texas, in Environment Texas Citizen Lobby, Inc., and Sierra Club v. ExxonMobil Corporation, et al., issued a ruling rejecting the CAA Citizen Suit claims filed against ExxonMobil with respect to its operation of the large Baytown, Texas petrochemical complex. This is one of the few cases to be tried before a court, and now, on May 15, 2015, an appeal has been filed with the Fifth Circuit by Environment Texas Citizen Lobby and the Sierra Club. The case is Environment Texas Citizen Lobby Inc. et al. v. ExxonMobil Corp. et al., Case No. 15-20030, and, again, the brief is very long and comprehensive. On May 20, 2015, another important environmental appeal was filed with the Fifth Circuit Court of Appeals. The case is Board of Commissioners of the Southeast Louisiana Flood Control Authority – East, et al., v. Tennessee Gas Pipeline Company LLC, et al., Case No. 15-30162. In February 2015, the U.S. District Court for the Eastern District of Louisiana dismissed a major lawsuit that the Board of Commissioners filed against 88 oil and gas companies operating in South Louisiana for many years. The lawsuit, filed in state court and removed to federal court, alleges that the oil and gas operations of the defendants, in particular the construction and operation of canals located in the jurisdiction of the plaintiff levee boards, caused significant coastal erosion which in turn caused the destruction of thousands of acres of coastal lands. On March 11, 2015, the Fifth Circuit Court of Appeals issued another Deepwater Horizon decision. The case is United States v. Kaluza and Vidrine. The Court of Appeals’ ruling affirmed the holding of the lower court that these two BP employees, working on the Deepwater Horizon drilling rig as “well site leaders” were not for that reason subject to the criminal provisions of the “seaman’s manslaughter” provisions of 18 U.S.C. § 1115. Their conduct of “negative pressure tests” immediately before the explosion and fire on the Deepwater Horizon was alleged to be a cause of the catastrophe. Felony criminal indictments against these individuals were handed down by the Grand Jury, which were later dismissed by the trial court, which held that the Section 1115 does not, by its terms, apply to these defendants. The Government appealed, arguing that the natural reading of the law and its history favored the Government’s interpretation. The Court of Appeals disagreed, noting that the statute was originally enacted in 1838, and was developed to prevent “steamboat explosions and collisions on inland waters”, which is a far cry from oil and gas operations conducted far offshore under the provisions of the Outer Continental Shelf Lands Act. On June 4, 2015, U.S. District Court for the Southern District of Texas Judge Lee Rosenthal, issued a long ruling, resolving a number of partial summary judgment motions filed in the case of Exxon Mobil Corporation v. United States. Exxon’s predecessors owned and operated large refineries located in Baytown, Texas and Baton Rouge, Louisiana, and they entered into extensive (and profitable) war production contracts with the United States Government to produce large quantities of high-octane aviation gas and synthetic rubber at these plants. These operations also generated large quantities of hazardous waste which were disposed of in the Houston Ship Channel and the Mississippi River, which was the practice during World War II and the Korean War. Exxon has entered into administrative settlements with the States of Texas and Louisiana, and has spent, to date, $71 million to clean up and remediate this waste disposal. In 2010, Exxon sued the United States in federal court under CERCLA, arguing that the government should also be held accountable as a “covered person” under the law. The court ruled, in what it describes as “Phase I” of this litigation, that Exxon was unable to establish that the Government was an “operator” of the refineries; it exerted substantial control based on its contracts, but did not direct or participate in waste disposal decisions at the refineries. However, both Exxon and Mobil jointly operated the synthetic rubber and co-located chemical plants; the United States conceded as much. Exxon cannot maintain a CERCLA Section 107 cost recovery action against the United States, but it can pursue a Section 113 contribution claim against the Government. The District Court rejected the Government’s defense that Exxon’s lawsuit should be dismissed for being in violation of the appropriate CERCLA statute of limitations. The fact that Exxon entered into administrative settlements with the States of Texas and Louisiana did not trigger the statute of limitations. The District Court also entered a declaratory judgment that the United States is liable for its share of the past and future costs associated with the waste disposal operations of the synthetic rubber plants.